After returning home from a deployment to Ramadi, Iraq, Elliott started showing signs of having Post Traumatic Stress Disorder (PTSD). By 2008, his symptoms were spiraling out of control. He had severe anger, depression, anxiety, traumatic brain injury (TBI), and hyper awareness. It was severely affecting his life and the lives of those around him. By 2009, his PTSD was so bad that he ended up homeless. After sleeping in his car for a period of time, he applied to a veteran’s homeless facility in Long Beach, CA. He joins us on this week’s podcast to discuss his time in the Marines, the difficulties of his transition, and how his music career has been so powerful in his recovery. The #VApodcast is now available in iTunes, Stitcher Radio, Google Play, and Spotify. 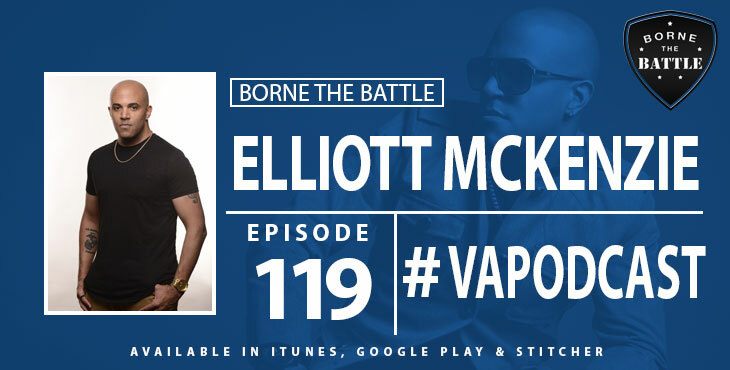 Search “Borne the Battle” in your podcast app of choice to subscribe.